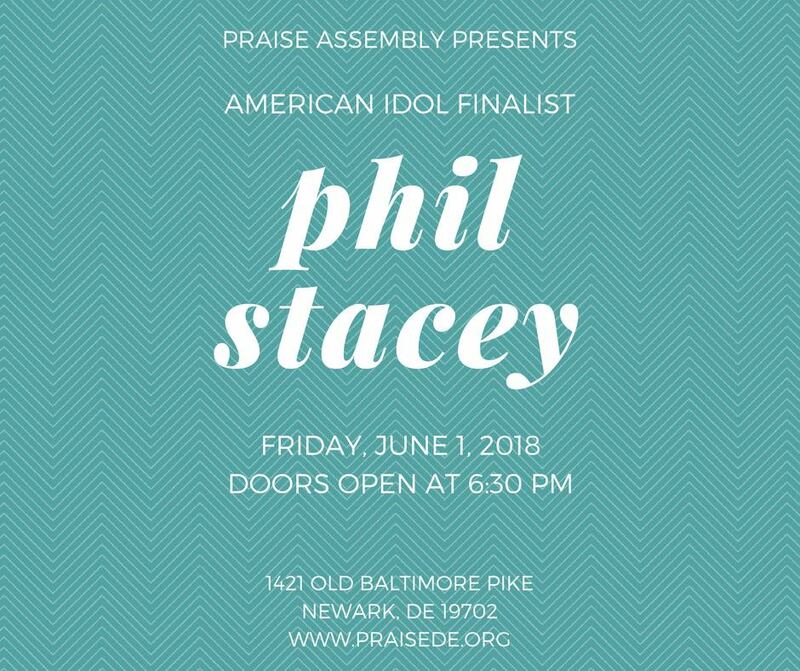 American Idol Finalist and Christian Recording Artist, Phil Stacey, is coming to Praise Assembly on Friday, June 1. You may have seen Phil on Ellen or the Tonight Show or as a featured artist on tours with Michael W Smith or Natalie Grant but one thing is certain, his performances are marked by soulful passion combined with a powerful testimony that demonstrates the faithfulness of God. There's no charge for the concert but an offering will be received. Bring some friends for a fun night of good music and an uplifting message!